I quite possibly had the worst day at work in my entire working life today. I would love to go into details, but I know there are some people from work that read my blog, so I will refrain. Lets just say there were accusations and tears and it was honesty the most horrible experience I have ever had to face it work. Certainly the type of thing that makes you look at your work environment and consider opportunities. My day has left me quite exhausted, which is unfair to this gorgeous polish that I would really like to gush about. This is Lush Lacquer Sugar Daddy. 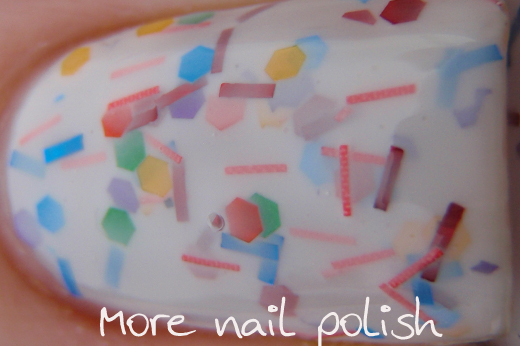 As you can see there are multicoloured hexes and red and blue bar glitters all in a white milky base. The bar glitters were 100% behaved and didn't do any of that nasty 'hang over the edge of your free edge and get all scratchy' thing. I was also really happy with the opacity and the amount of glitter. This was two coats of Sugar Daddy and I had no streakiness, no visible nail line and I got plenty of glitter on my nail. I was really pleasantly surprised as I did think it would be a challenge to apply cause of the white base. I wore two layers of top coat to get it glassy and smooth. 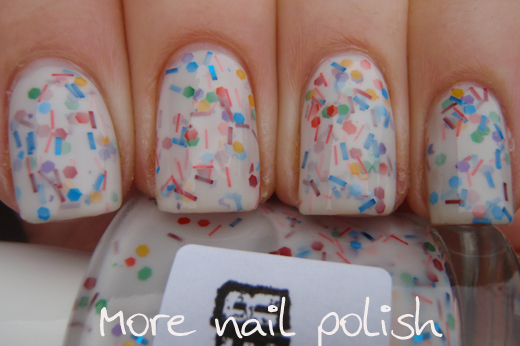 This polish really looks like those sugary sprinkles that you put on kids cupcakes. Yum yum! Lush lacquer have a huge range of polishes available on their etsy store and from looking at their sales history of over 5200 bottles, they are obviously doing something right. So sorry about your bad day at work! Hope everything is better today! That IS a gorgeous polish though! Oh no :( I hope you're okay hun... hang in there! Wow i love how you can see the glitters floating in the polish! super pretty! Sounds like the same day I had, but without the tears because all my collegues are men. 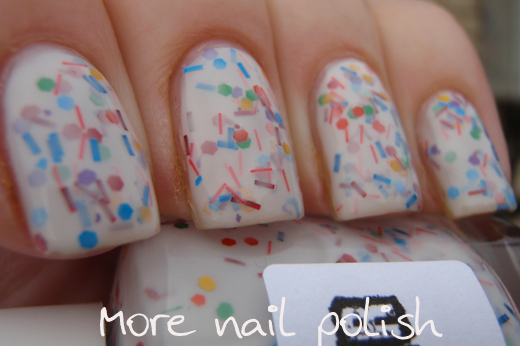 I absolutely want this polish! It's so cute and yummy looking. I also really love the depth to it. This polish is beautiful! 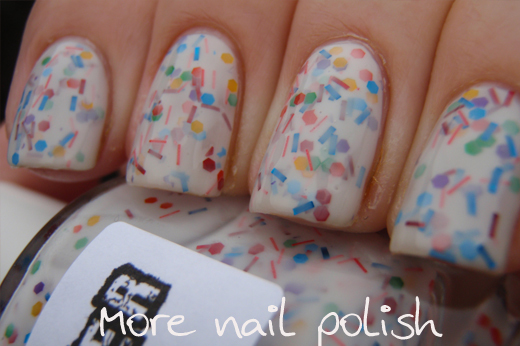 What a delicious fun mix of glitters! Hahahaha to "thwapping"! Anyhow, I love the way this polish looks. Lush Lacquer has great combinations from what I've seen. Big hugs honey - whatever doesn't kill us only makes us stronger. <3 Mani looks fab too. This is seriously beautiful. 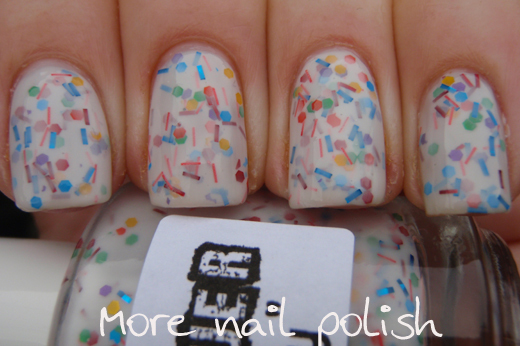 I have a love/hate relationship with bar glitter but if it behaves in this polish I can see I'll need it! !